TODAY will be mostly about USPTO matters (major things have just happened), but before we turn to that, let’s look at the latest developments at the European Patent Office (EPO). Yesterday, for the first time in a long time, the EPO did not bombard Twitter with software patents advocacy (typically 2-4 times per day, even more so lately). Even though software patents in Europe aren’t allowed “as such”, today’s EPO is quite blatantly ignoring even its own rules, in the name of so-called ‘production’ targets. 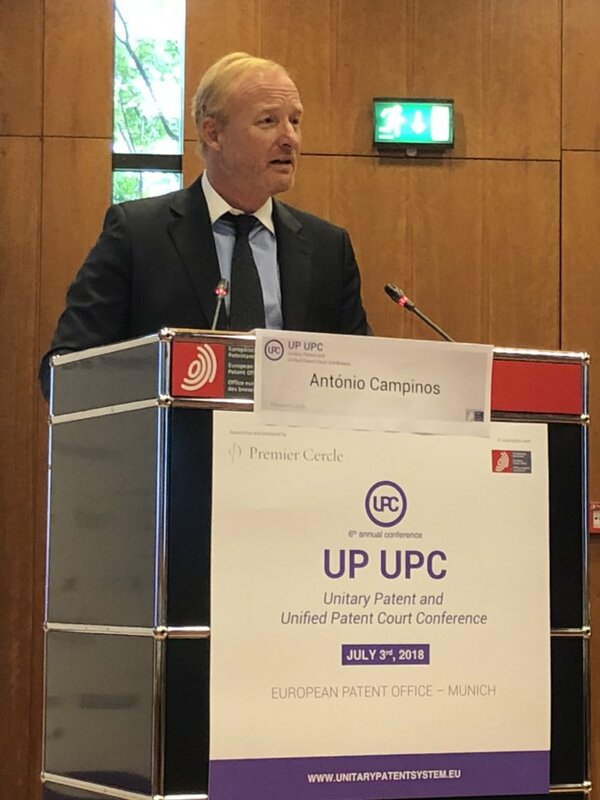 During his first official visit to Spain last week, EPO President António Campinos met with Ministers to discuss how to further strengthen the patent system and support innovation and economic growth. Meetings on Monday were held with the Spanish Minister of Industry, Trade and Tourism, María Reyes Maroto Illera, the Undersecretary for Industry, Trade and Tourism and President of the Spanish Patent and Trademark Office (SPTO), Fernando Valdés Verelst, and the Director General of the SPTO, José Antonio Gil Celedonio. Team UPC has no remnants of credibility by now. Every prediction it had given turned out to be false. The British Law Gazette‘s Michael Cross then published about this under the headline “Government admits ‘no deal’ could mean exit from patent court” (misleading headline). New advice from Whitehall on the consequences for a ‘no deal’ exit from the European Union concedes for the first time that this could mean withdrawal from the embryonic 25-nation Unified Patent Court. Until now the government has insisted that the court, part of which is due to be based in Aldgate Tower, London, was not an EU institution and therefore would be unaffected by Brexit. However a notice issued today by the Department for Business, Energy and Industrial Strategy states that the UK will have to ‘explore whether it would be possible to remain within the Unified Patent Court and unitary patent systems in a ‘no deal’ scenario’. Team UPC will carry on misinterpreting government documents to spread the infamous two lies. In view of the lack of examination during the Luxembourgish application procedure, notionally all software inventions can be patented in the jurisdiction. However, to achieve a stronger presumption of validity, embodiments of patented software inventions should exhibit a further technical effect, analogously to the legal test practised under the European Patent Convention. In practice, this means a concrete effect achieved by the software beyond the conventional physical interactions between the program and the computer on which it is run.